Hi guys! Did you miss me? I was sick, and I'm still not feeling 100% better, but I'm trying to post every day again. 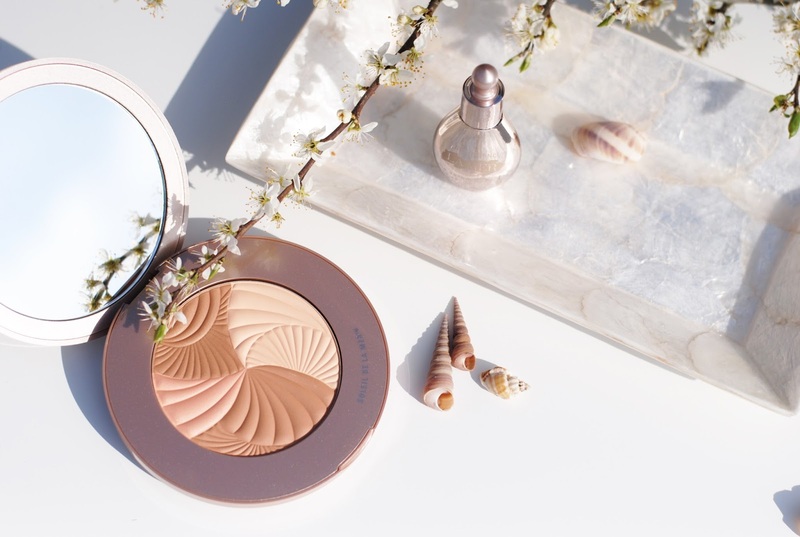 Summertime means bronzers, so get ready for a lot (a lot!) of bronzers in the upcoming days. 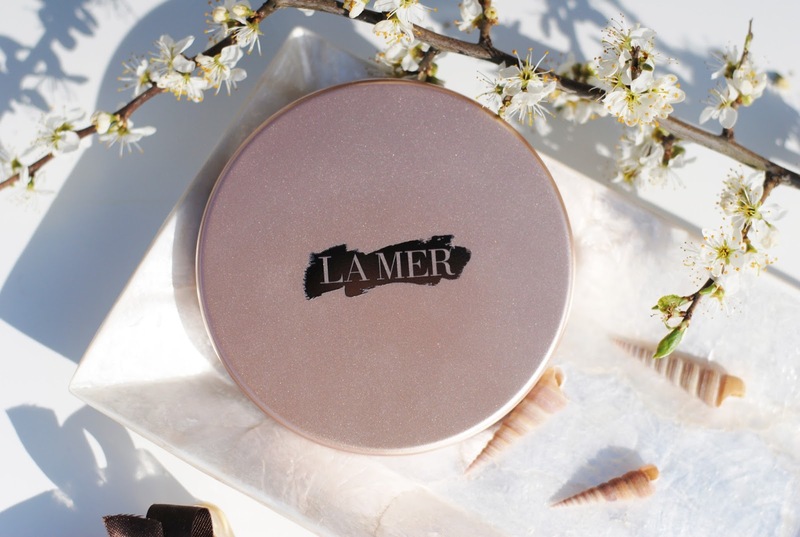 Today I'm showing you one of the prettiest, the new La Mer bronzing powder! 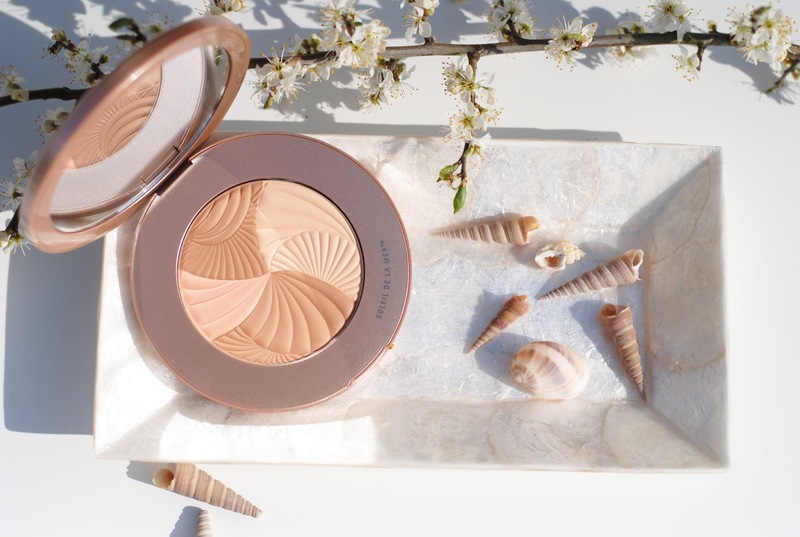 La Mer's newest collection is called Soleil de la Mer and contains this bronzer and a brand-new after sun enhancer. 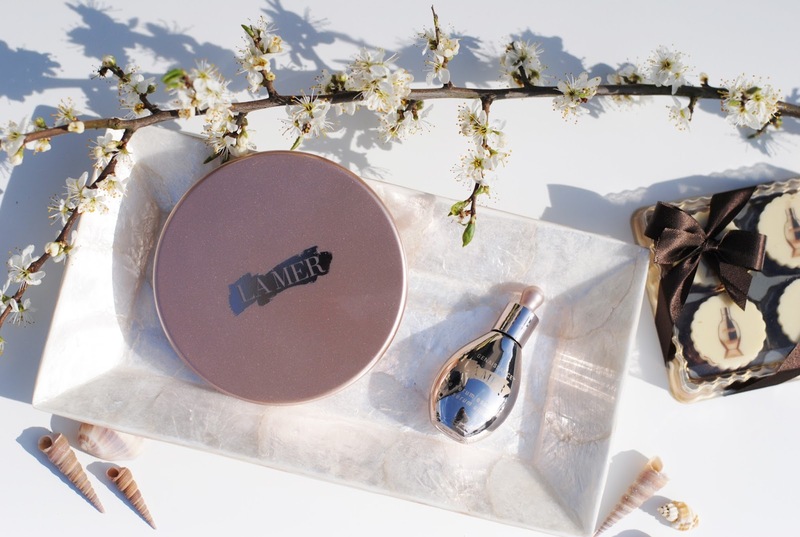 The packaging of the La Mer bronzing powder is so pretty. It's a beige/brown giant (!) 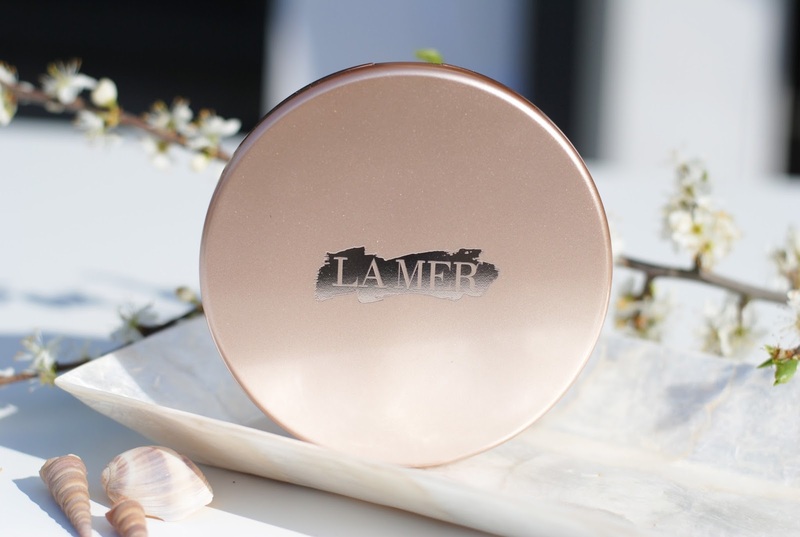 compact with the La Mer logo in front. Very classy and much prettier than the regular La Mer skincare bottles. 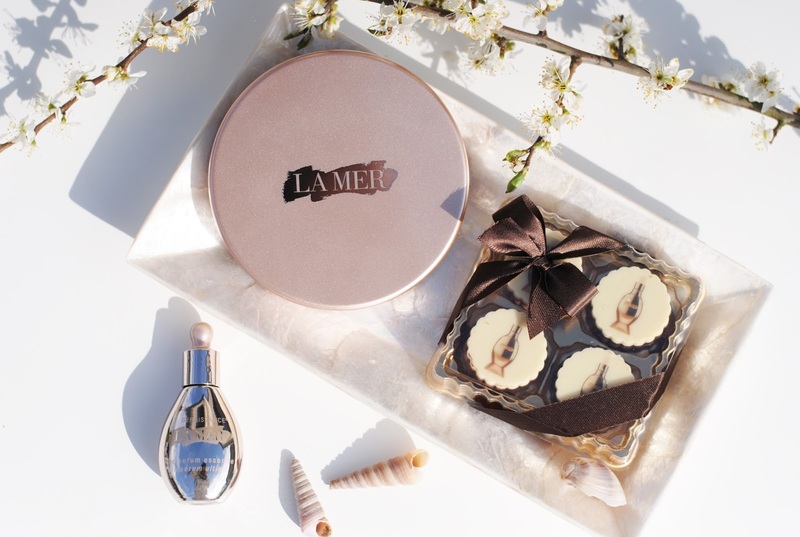 The powder has a shell print, which is a little ode to the maritime roots of La Mer. There are 4 colors, two brown shades, a beige one and a more pinkish color. You can use these separately for a little blush and some highlight, but I prefer to use them all together, which gives a light bronzed color. A perfect color for fair skin types. If you want a darker color you can just swirl your brush more into the two brown colors. It's as easy as that. The pigmentation is fine, with a brush a bit subtle - but I like subtlety in bronzers. A little word about a new La Mer serum. This has been out for a while, but I haven't seen too much written about it. It's quite expensive, yes okay very expensive, and that also made me very curious. 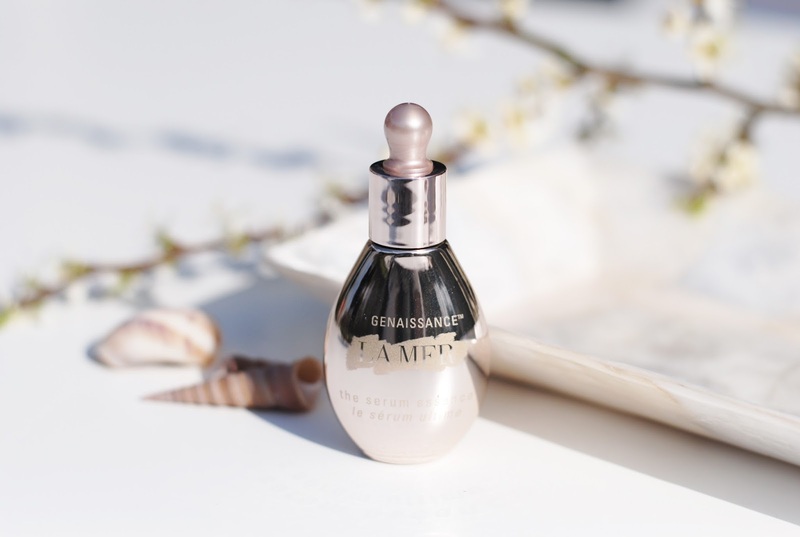 The Genaissance de La Mer should set back the clock of your skin, it should reduce fine lines, pores and wrinkles and soften skin. 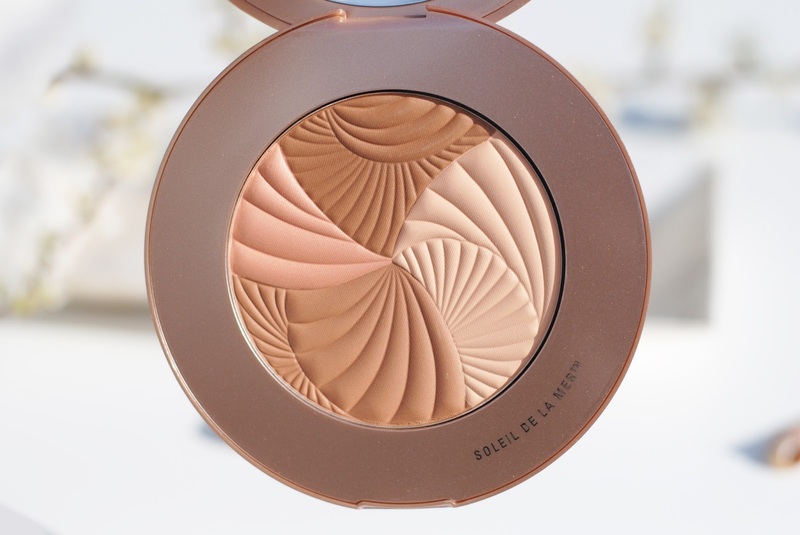 I'm very happy with this bronzer because of the light color, bronzers are often too orange or dark. This one is one of the lightest I own. 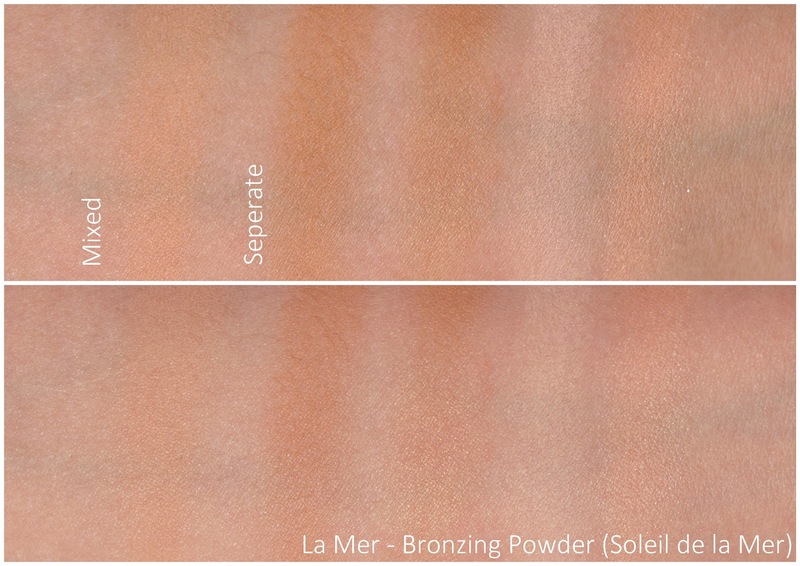 It's comparable to Guerlain Joli Teint, but La Mer is a shade darker. It also smells really nice, which I always love in powders - any product really. What do you think about this bronzer? What kind of bronzer do you prefer? It's a really pretty bronzer, the colors and the packaging look great! And I love the tiny serum bottle too. 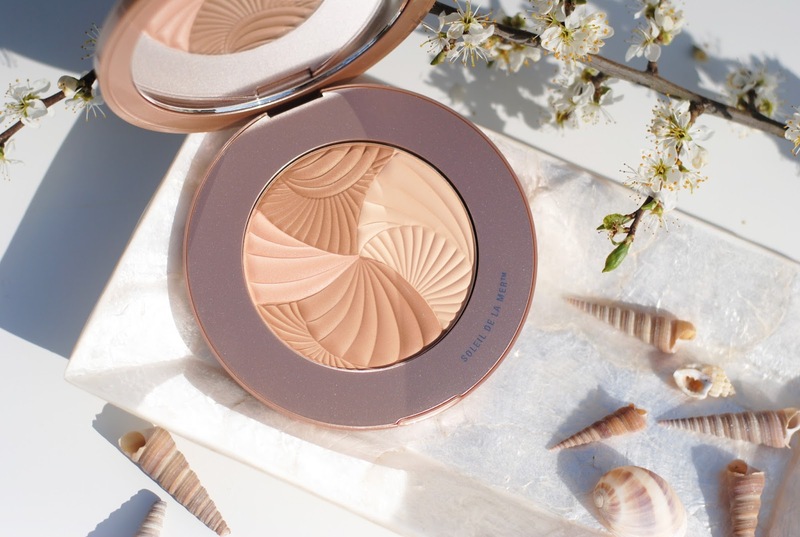 I need this bronzer in my life, echt prachtig ding! Gorgeous photos as always and I love these more expensive reviews. I can't find many reviews on the internet for La Mer, so it's a pleasure that you do these.